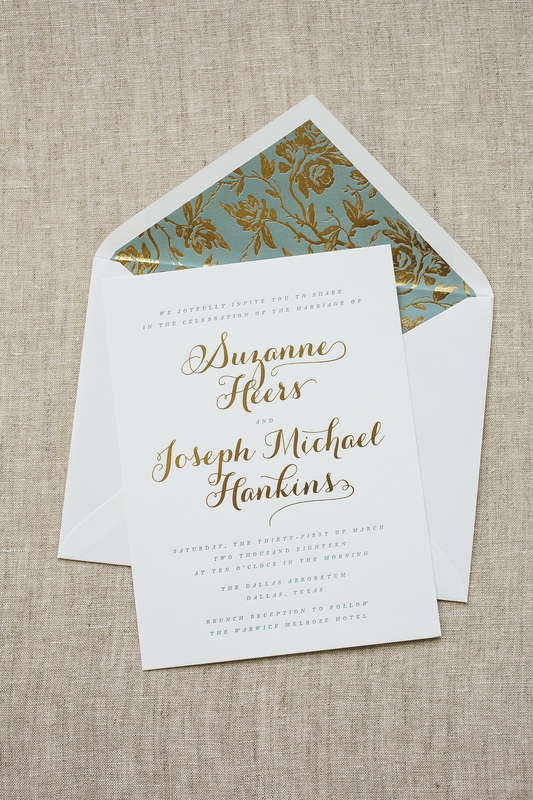 We worked with Invited to create these gold foil wedding invitations for Suzanne and Joseph’s botanical Dallas affair this past March. 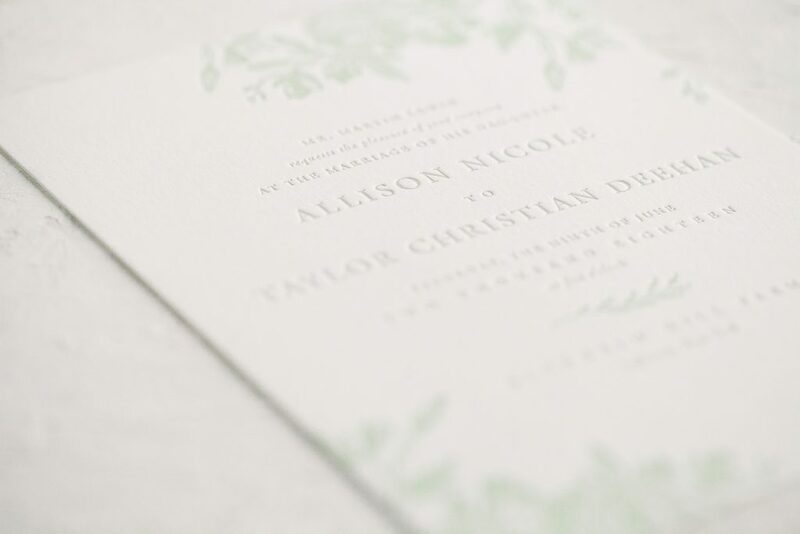 The wedding was held at the Dallas Arboretum which their chosen envelope liner mimicked beautifully. They chose to go with our Tristan pattern in Gold Matte foil with a digitally printed background in Pool behind it giving this suite a little extra punch of color. 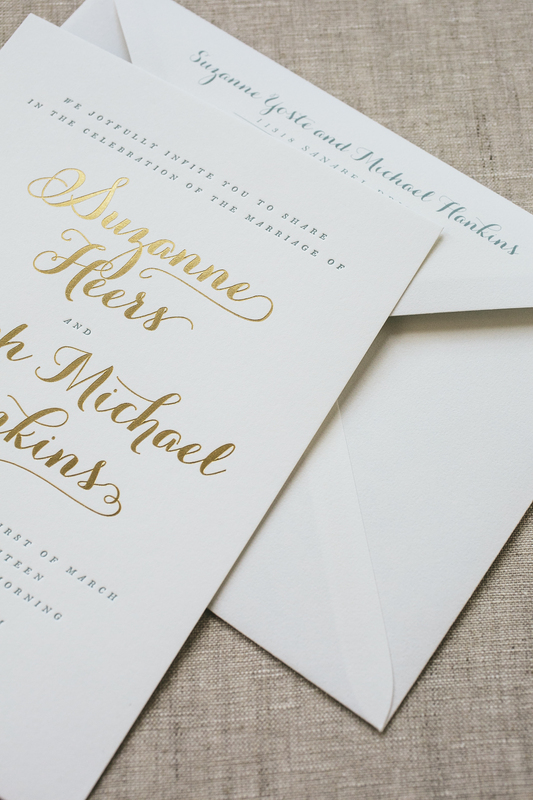 The invitation was inspired by our Whisper design but customized to fit the couple with a more modern script font decorated in gold foil surrounded by the rest of the wording in subtle Pool letterpress ink. 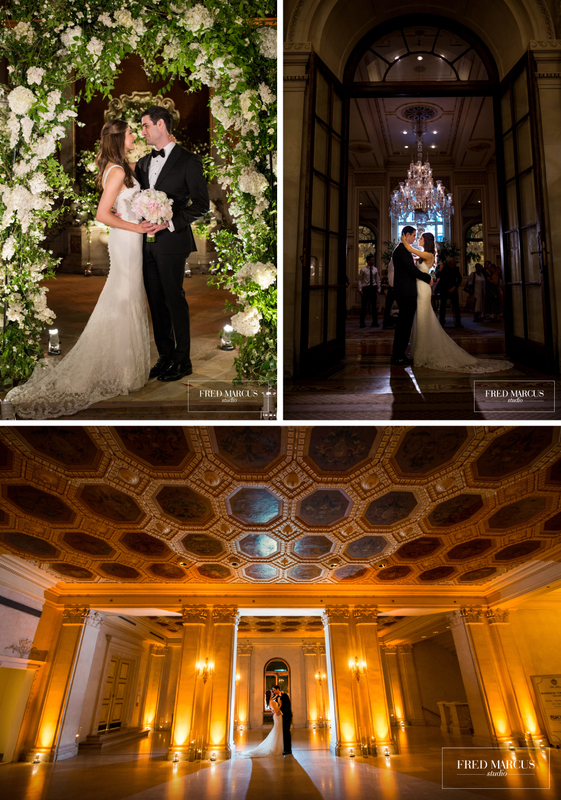 It’s easy to see that everything tied together within this suite and we have no doubt Suzanne and Joseph’s special day came together just as elegantly too. 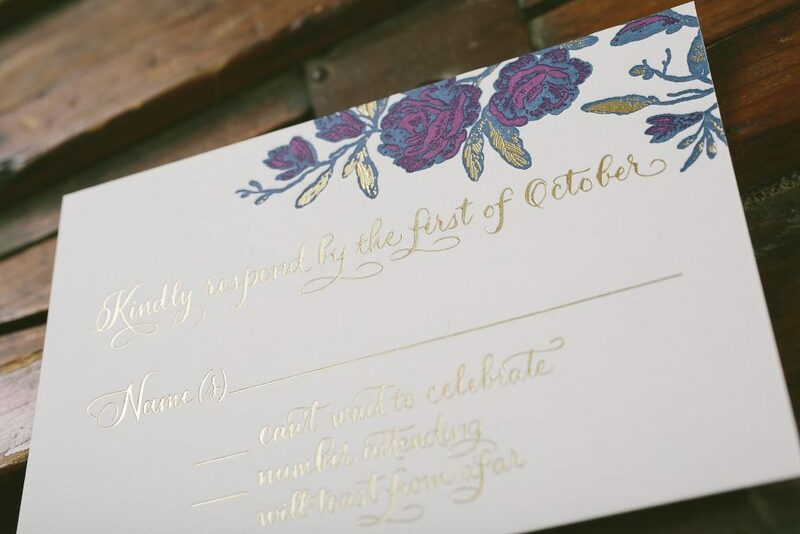 Emily and Sean used our Tristan design as inspiration when imaging vintage floral wedding invitations for their October wedding. 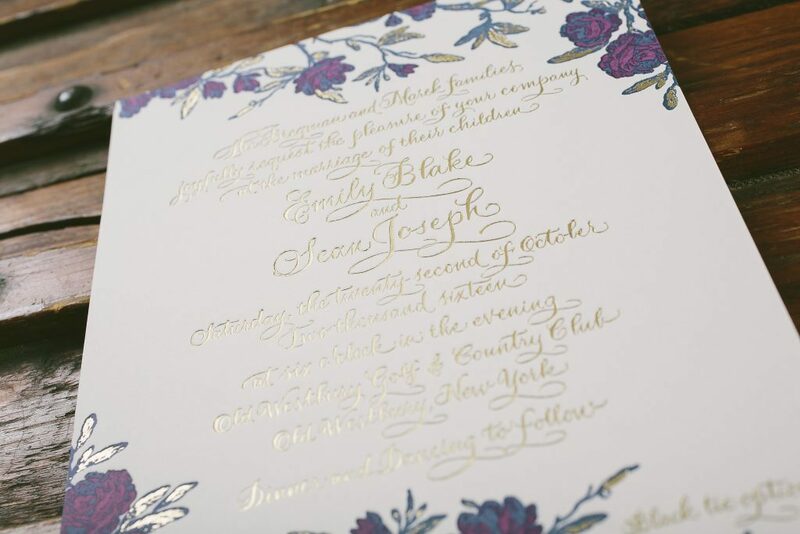 They chose a jewel tone palette of aubergine and navy letterpress inks and added gold matte foil to highlight the botanical artwork and to make the hand calligraphy of Debi Zeinert really shine. We repeated the Tristan floral pattern in the same palette on their digitally printed envelope liner for an ultra elegant presentation. 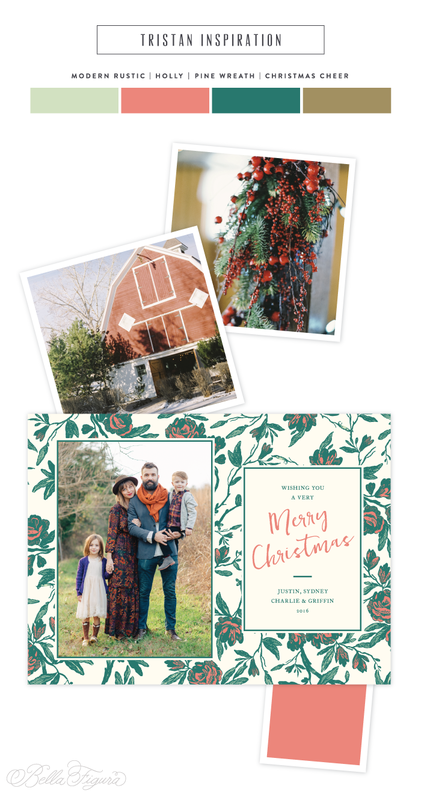 A non-traditional color palette is paired with a modern layout and Tristan‘s antique botanicals on this floral holiday card inspiration. We’re offering free envelope addressing along with complimentary rush service on all custom holiday orders placed by December 12, 2016. Browse our collection of holiday cards to get started today! 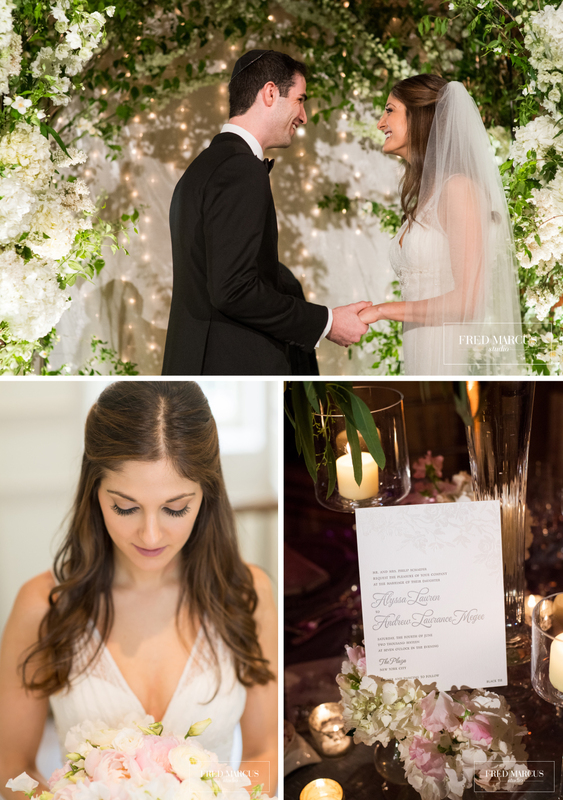 We had the pleasure of working with Alyssa and Andrew at our flagship store in Manhattan on the design of their foil stamped floral wedding invitations. 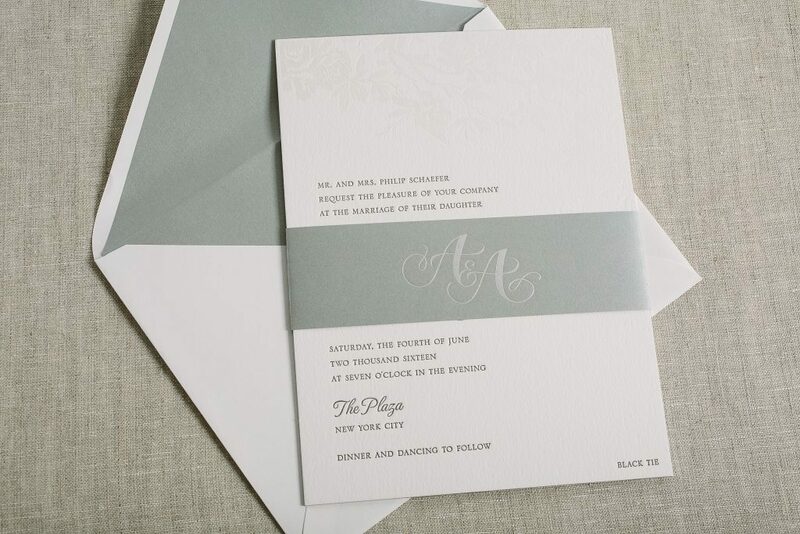 The couple fell for our Tristan design, opting to print in a sophisticated palette of pewter letterpress and silver matte and pearl shine foils. 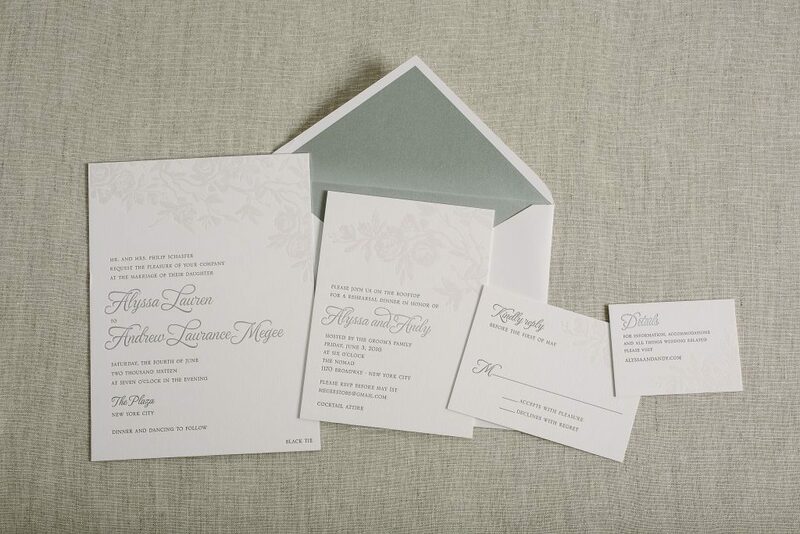 The pearl shine foil created a white on white effect that subtly highlighted the floral motif. 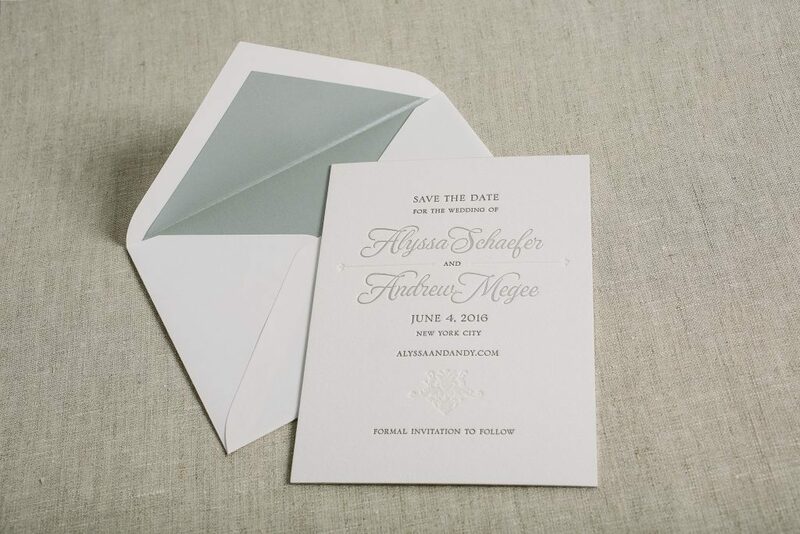 Their custom duogram was printed in silver matter foil on a metallic silver belly band that was paired with a coordinating envelope liner in our pointed flap envelope. 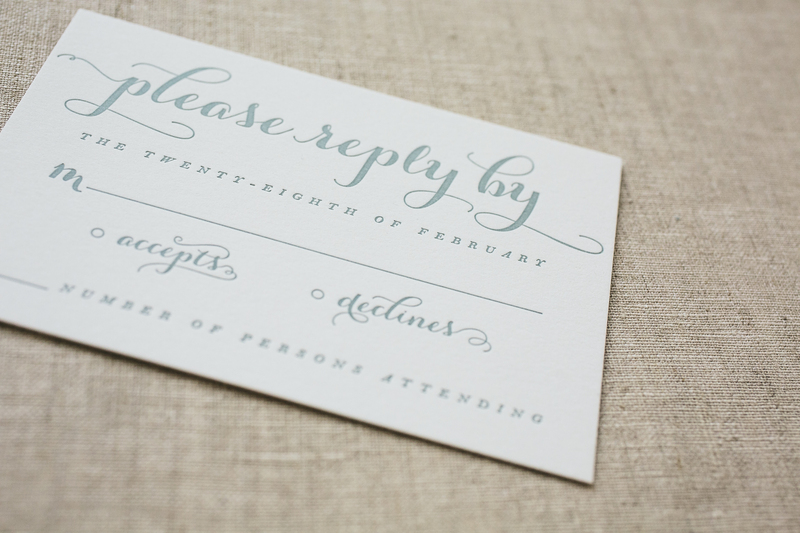 Our Victorian Elegance design inspired their save the dates that featured the same cool color palette and metallic envelope liner. Designer Andrea Streeter is August’s Designer of the Month – be sure and check out her other designs and save 10% through August 31st! 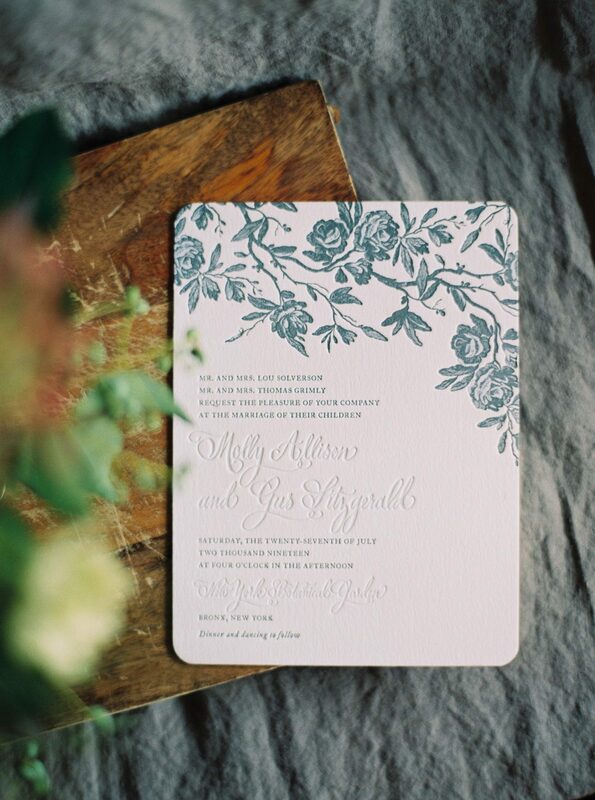 Our Tristan design from Andrea Streeter inspired this rustic floral wedding invitation inspiration. 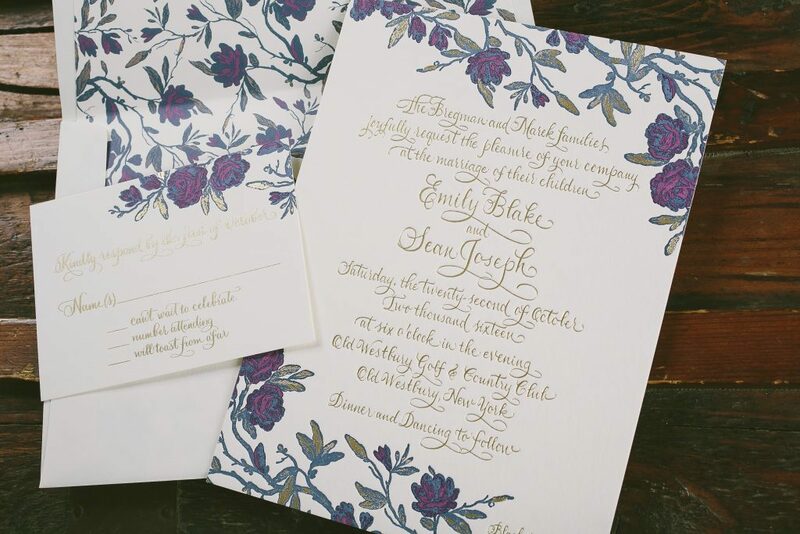 Romantic jewel tones highlight the vintage botanical motif while the square shape adds a less formal, more provincial feel. We’re excited to announce our in-house designer Andrea Streeter as our August Designer of the Month. 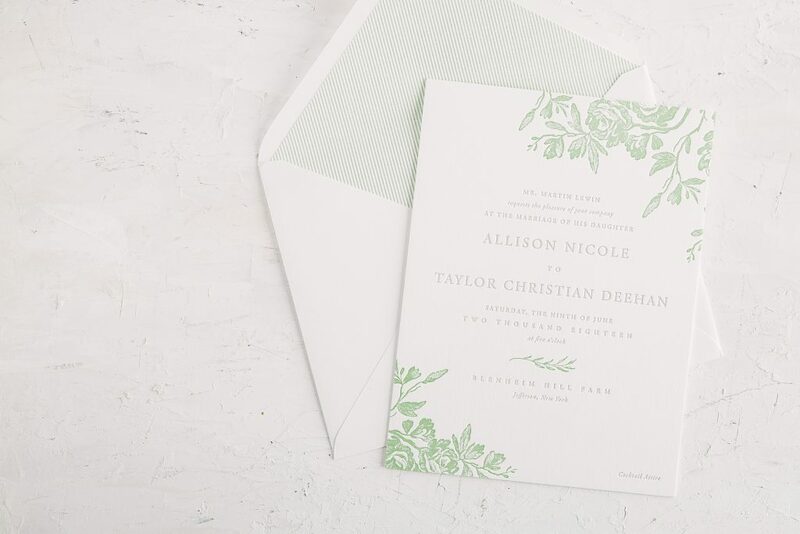 Andrea’s designs feature unique motifs and strong typography – her gorgeous new Tristan invitation is one of our best-selling designs from our 2016 collection, and it’s easy to see why! During the month of August, you’ll save 10% on any order featuring one of Andrea’s designs. 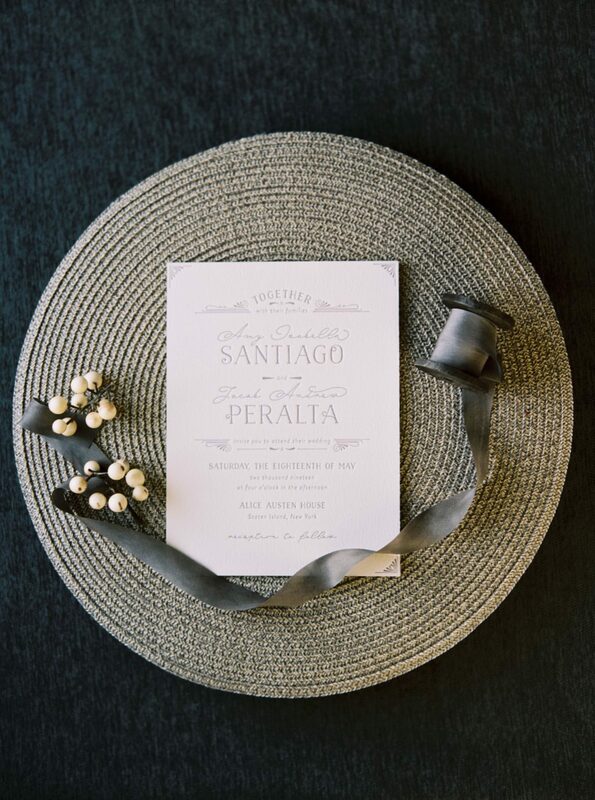 You can save an additional 10% when you combine this offer with our popular ongoing promotion and order any 6 printed pieces or more – whether it’s save the dates, invitations, day of-pieces, or anything else you can dream up. Shop Andrea’s collection today! The fine print: this offer is exclusive to designs by Andrea Streeter and does not apply towards the purchase of other designs. Discount is applied automatically – no code required. Orders must be placed by 11:59pm Eastern on August 31, 2016 in order to receive this offer.